Deviant Art’s AldgerRelpa was inspired by the recent animated adaptation of Frank Miller’s The Dark Knight Returns to create this piece. 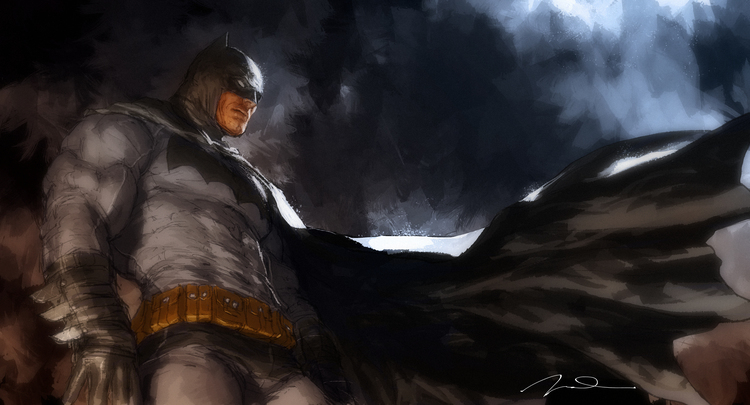 The Batman in the upcoming Man of Steel sequel is supposed to be based off of Miller’s work. Zack Snyder has already met with Miller on his vision of Batman. Having him look just like this would be more than fine with me.